the choice of the right color seems to be a challenge, that’s at least what I hear from a lot of my students. of course you can trust your intuition or get inspired by the right music, but I think it might be safer to collect enough information, in this case – visual reference. maybe you have enough photos in your archives to choose from, but in any case you can find everything and fast on the internet. 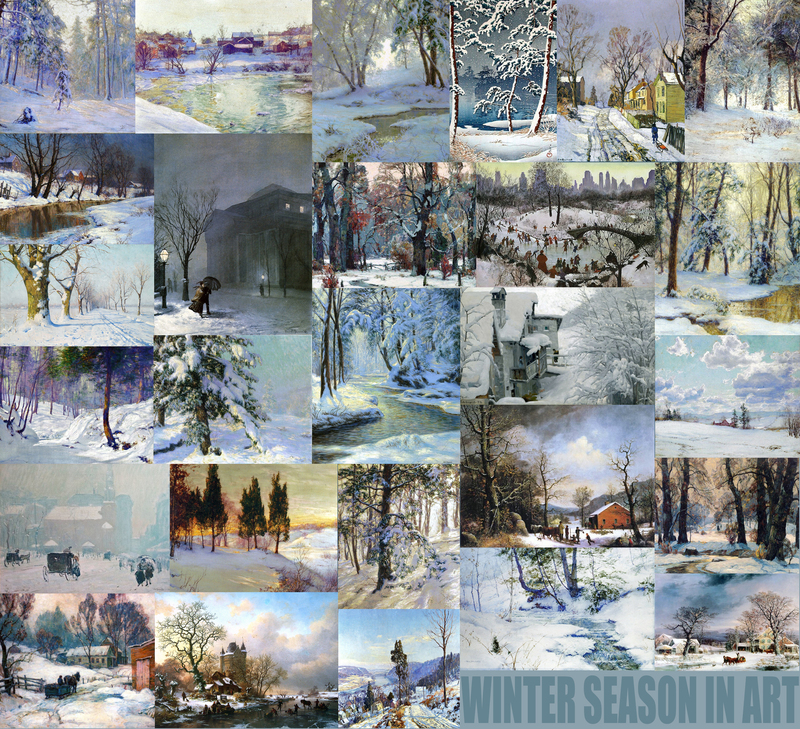 as an example I picked the theme WINTER. when I did the production design for BALTO I had to do a lot of research about alaska, snow covered mountains and deep forests, whatever I could find about the cold northern winter. 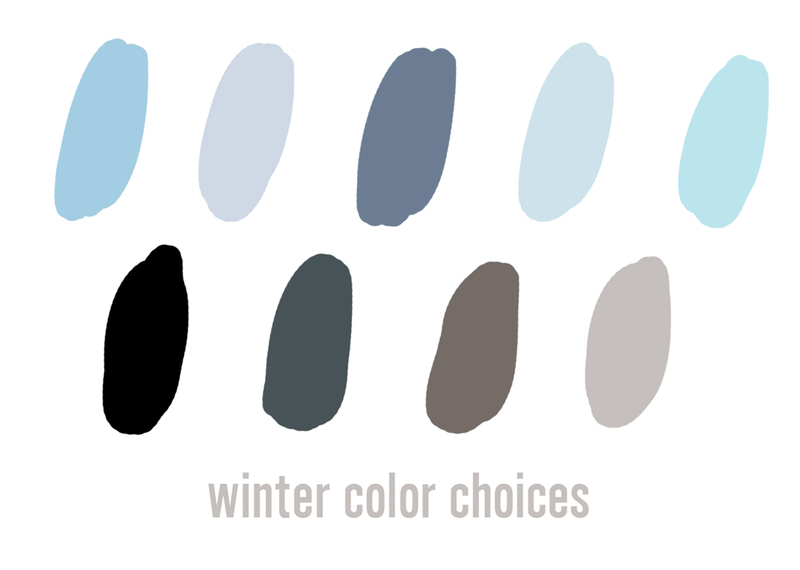 without checking photographic- or art-reference you probably would go for a lot of white with some greyish-blue colors. in case of BALTO we wanted to avoid that cold color-range as often as possible. the white with blue color combination feels cold and you don’t want your audience to start freezing. 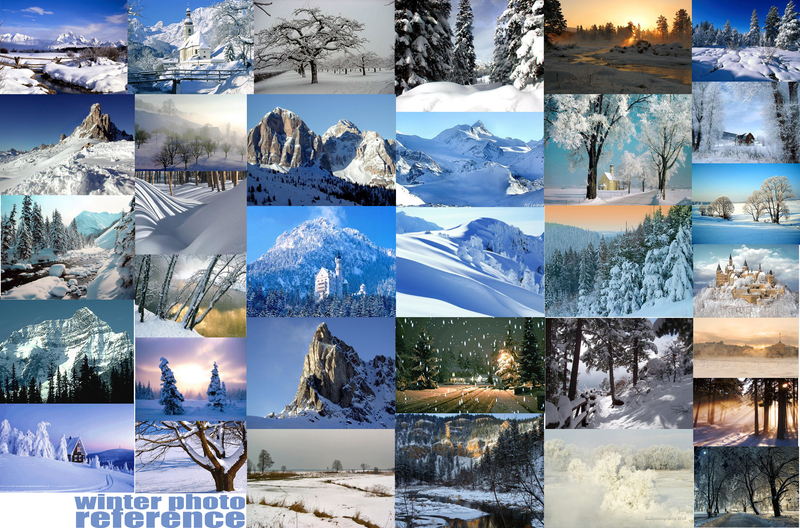 when you look at the collected photos you will find blue as the dominant color, but as well a lot of other balancing colors you could use to go into a different warmer range. in the second big compilation you can study a wide range of artwork from around the world and from over the last two hundred years covering the same theme. 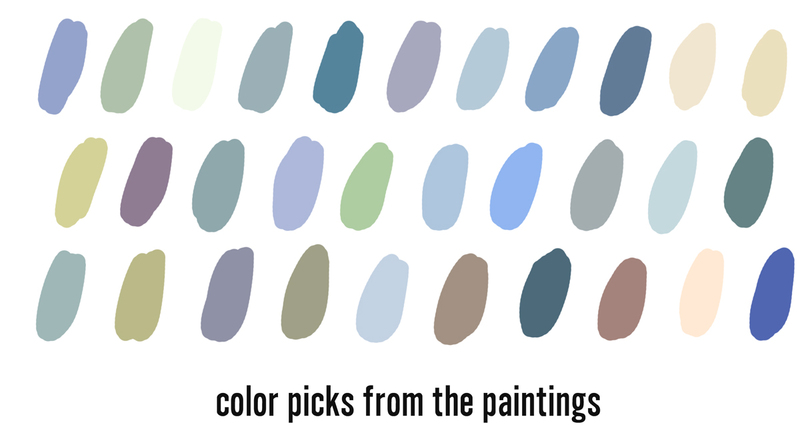 here as well the color choices of the different artists were not just blues and greys. you can check that very well in my color-picks. that is how I usually start, in case I need to come up with a color script. you select all the colors from whatever reference you use and then condense the color-picks to the range that fits your storyline the best, and – you choose colors harmonizing with each other. according to the story you are working on, a lot more goes into the choice of the right color, especially in your color script, where you need to translate the development of the drama and illustrate the mood. in some cases your story in the climax part of the film might need even in a winter snowy environment completely different colors, colors that symbolise the idea and not the reality. Great post Hans! It was interesting to see the difference in the colour comparing the live action to paintings. There is so much more variety and “emotional” colour in those paintings. Back in the US, I just thought that you might like see Carence Gagnon the Canadian painter and how he painted snow.I think he is one of the best. you are right, peter. thank you for the link. his tango influence you may find interesting. You know he just released a short film part of an animation movie, right? “Anima Buenos Aires” is the name of the film. Here is another artist, which makes great compositions and very warm paintings…surely you know him, but i share the link just in case! awesome stuff!! That’s a nice way to start. Must be hard to make snow in colors other than blue and white!